Character property close to Lake Annecy set amidst stunning mountain scenery. Sleeps 6-8. Maison Giez is a traditional French house, full of character and charm. The house is situated in the historical village of Giez, at the south end of Lake Annecy. There are 3 bedrooms upstairs (2 double rooms and a room with 2 sets of bunk beds) and a large bathroom. Downstairs there is a large kitchen/dining room with log burner and IPOD dock, a living room, utility room and toilet. Large, private and enclosed garden and patio area with a stone built barbecue and table and chairs for outside dining. Driveway with parking for 2 cars. The house is a few minutes walk from the impressive golf course at Giez and a few minutes ride to the cycle path. Free wifi and satellite freeview TV. We were on holiday at lake Annecy for the 2nd year when we viewed and bought our holiday home. We love the area and have enjoyed many holidays with friends, summer and winter. Our house is full of character and has a very homely feel about it. It is in a great location with easy access to both Lake Annecy and the mountains. Large bathroom with toilet, bath, 2 sinks and an enclosed shower. Separate toilet downstairs. There are 2 settees (1 being a sofabed) in the living room. Satellite TV and DVD are available for use. Newly fitted kitchen with dishwasher, full size oven and 4 ring hob, fridge freezer and microwave oven. Seating for 8 at the table beside the log burner. IPOD docking station. Free WIFI. Fondue set and raclette grill. La Sambuy ski resort is 20 minutes drive away. Crest Voland ski resort is 30 minutes drive away. Giez golf course is a few minutes walk away. It has 18 and 9 hole courses with fantastic views of the mountains including Mont Blanc from some holes. We had a great two weeks here in Giez. The house was very well equipped and could comfortably house 8 or more people. The village of Giez is peaceful, historic and authentic and within very easy reach of the lake by car, bike or on foot. The town of Faverges is less than 2 miles away and has amenities such as supermarkets. The cycle path around the lake is easily accessible from Giez too and just over a mile from the house. We had great communication from the hosts leading up to our stay and when we arrived there was a food box and drinks and supplies waiting in the fridge. The handover of the house was easy and we had complete privacy for the entire two weeks. It really was a home from home but in a superb location and we were blessed with the weather, experiencing a thunderstorm one evening and only one rainy day in the whole two weeks. A spacious house in quiet location with all the amenities we required. We really enjoyed our stay. Beautiful, characterful French house in breathtaking countryside. A stones throw from Lake Annecy and its many lakeside retreats. The house is spotless and has everything you could need. Will return for sure! Thank you so much for taking the time to write a review. We really appreciate it. Glad to hear you enjoyed your stay. We would look forward to welcoming you back in the future. Stayed here for a week with young family in June 2017. The house was clean, very well equipt (travel cot and stair gate available) with a good layout and good size of rooms. 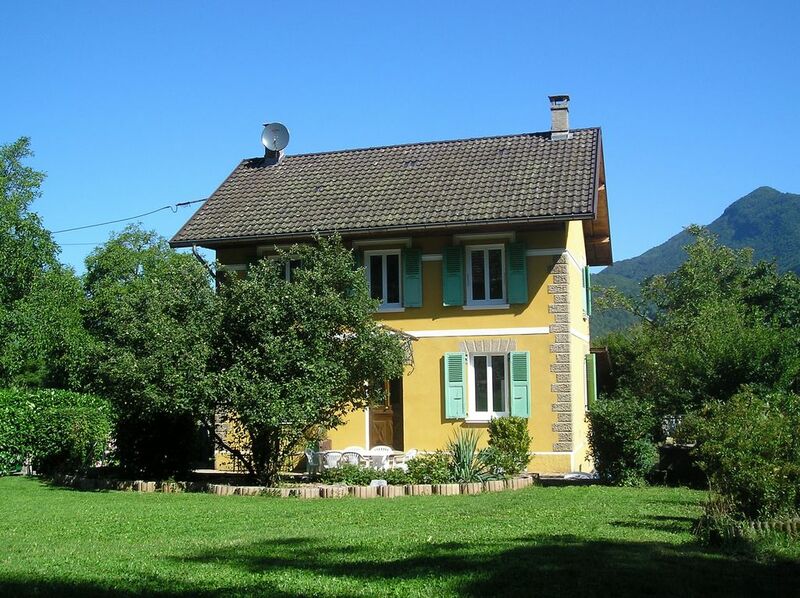 The house is in a peaceful village and is in close proximity to the cycle path (easy flat route - 22km to Annecy). Plenty of outdoor activities in the surrounding area. The owners were very helpful and responded quickly to our queries. We would not hessitate to book again if we were in the area. Many thanks for taking the time to write a review. We were pleased to hear that you enjoyed your stay. This is a lovely well-equipped family home in a perfect location for walking, cycling and sightseeing. We instantly felt at home, and our children aged 8 and 10 appreciated the toys and DVDs. The property is well sited for the beaches and restaurants on Lake Annecy. There were so many fantastic walks around the area that we simply ran out of time. We would definitely recommend this property. We stayed with our 2 children and in laws. The house was very clean, well equipped including plenty of toys/games and situated in a lovely quiet area. We spent days at the lake only a short drive away and evenings sitting out. The owner was helpful and prompt in responding to queries and our security deposit was also returned extremely quickly on our return. Would definitely revisit. Lake Annecy is 5 minutes drive from the property. The following airports are nearby - Geneva (Approx 50 mins). Grenoble (approx 1 hour 40 mins). Chambery (Approx 1 hour). Lyon (1 hour 40 mins). Giez village 200m, Faverges town 2km, Annecy 20km. Intermarche 2km, Carrefour 2km, restaurant 1km, Lake Annecy 4km. Paragliding landing site at Doussard 4km. Booking Notes: 25% deposit, full payment 8 weeks prior to rental. £200 damages deposit to be paid with final payment. This will be returned within 2 weeks of your departure following satisfactory inspection of the property. Changeover Day: Preferred changeover day is Saturday, but there is flexibility outside July and August. Notes on prices: Prices are for the property per week in pounds.